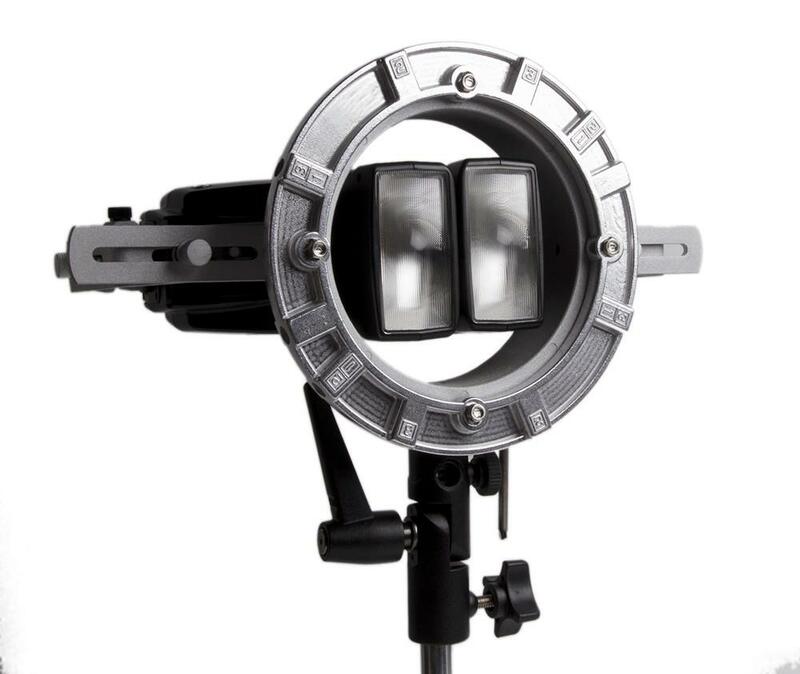 The LumaPro Double Flash Bracket Speedring is designed for those who want to use strobe-specific, rod-based softboxes with Speedlights rather than monolights. The speedring accommodates most rod-based modifiers while the brackets are equipped with variable shoe mounts for flash guns that are specifically designed to prevent shorting out the connections. 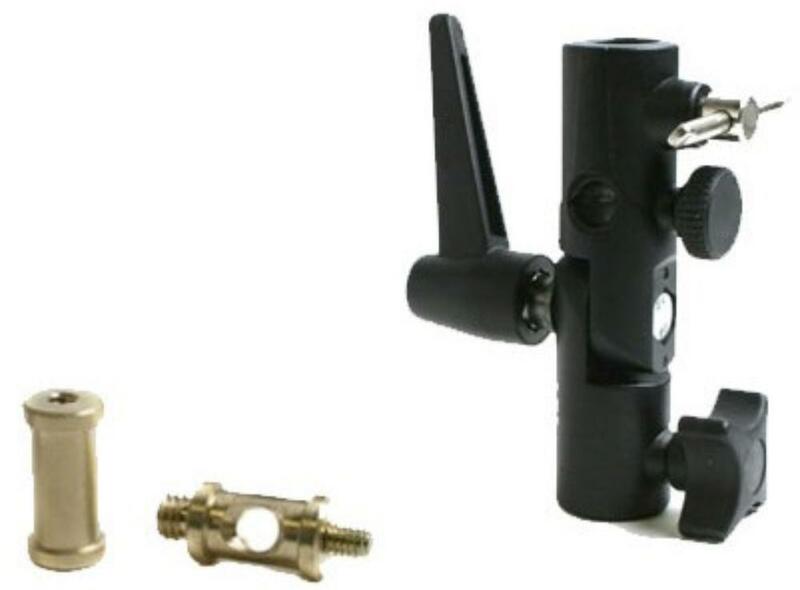 Notes: These speedrings are compatible with all hot shoe mountable flashes and accepts most rod-based light modifiers. Flashes are not included.